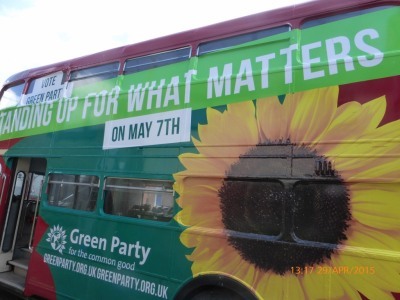 Thanks to Sally for a picture of the Green Party Campaign Bus in Abingdon today. 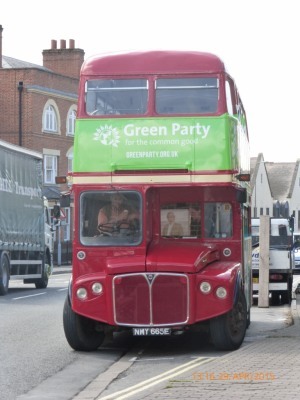 I believe that is the 4th party bus to come to Abingdon during the campaign. 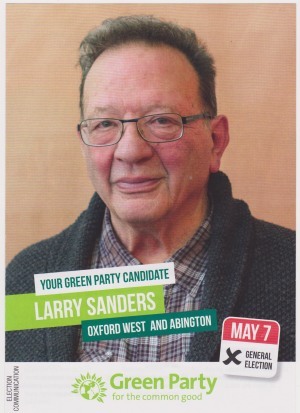 Tim sent me an image of the green party leaflet posted through his front door yesterday morning. Spot the error. 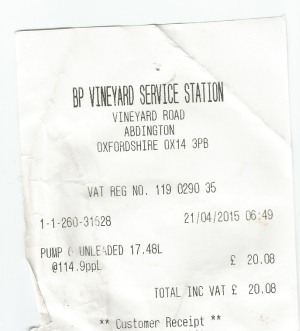 When I get petrol in the Vineyard there is a similar – but different – error. 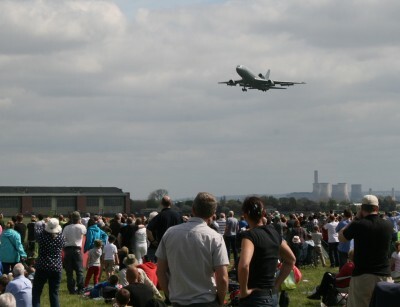 Looking forward to the coming bank holiday weekend and the annual Abingdon Air and County Show. It is always one of the highlights of the Abingdon Calendar with the aeroplanes, vintage vehicles, stalls, and performances, and all run by volunteers to raise money for charity. Looking forward a bit further, and it is time to consider whether to put together a team to row in the Dragon Boats on 6th September – the most fun you can have on the water. Another event run by volunteers. 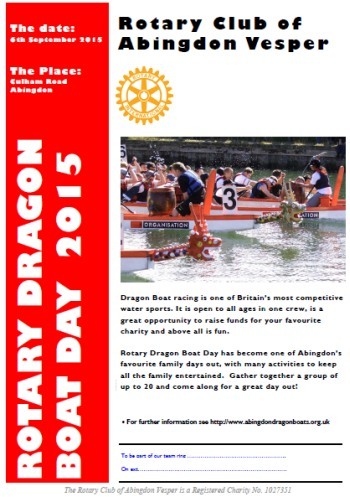 This time by the Rotary Club of Abingdon Vesper, and raising money for Charity. The weekend after (12th -13th September) is Heritage Open weekend, when there will be a Victorian theme – 150 years after the Albert Monument was opened. The Albert Park is quite unique as it is run by the local charity ‘Christs Hospital of Abingdon’ for the good of the people of Abingdon, and not by any council or authority. Like all Heritage Open Days everything is Free to Explore. 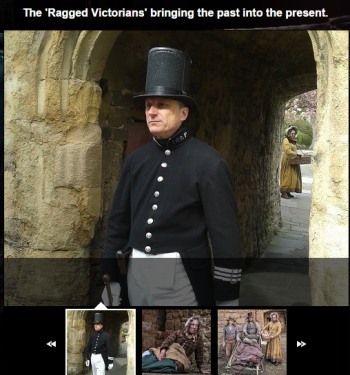 In 2015 The ‘Ragged Victorians’ will there ‘bringing the past into the present’. It is another event that is run entirely by volunteers. They are looking for anybody with interesting Victorian collections, or artifacts, or craft skills, or costumes, who would be willing to take part. Julie wrote to me wanting to float an idea about the Dunmore Road traffic, if the new local plan gets ratified and farmland, outside the current peripheral road, is built upon. Instead of building a bus lane on the Dunmore Road, use the money to build a proper ring road further away from housing, so that the new proposed housing north of the Dunmore Road can be within this circle, making the people who might live there feel more a part of the community. The benefit of doing this would be less disruption when building. 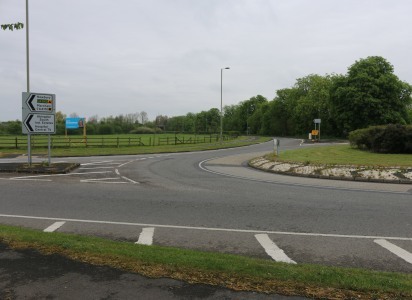 The ring road could go from the Wootton Road roundabout, right alongside the A34, joining at the new interchange, a shorter distance of road to build. 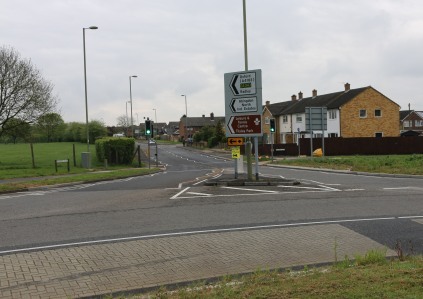 The roads from the proposed development should exit onto the new ring road, making it pleasant for people living there to walk to the Dunmore Road, which would return to being to a tree-lined estate road with nearby shops, parks etc. 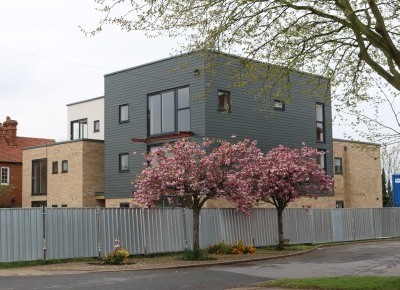 Work on the Abingdon School Science Centre continues. 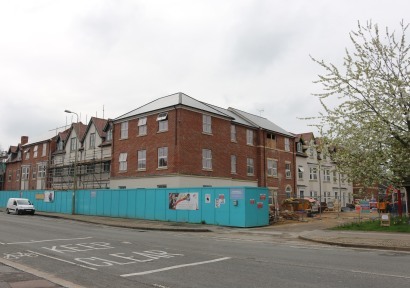 Much of the scaffolding has been removed from the new care apartments on Ock Street that replace Mayott House. The roof is on, and most of the windows are in. 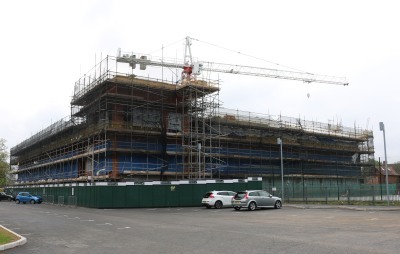 Regarding the Old Gaol it is difficult to tell how things are progressing. 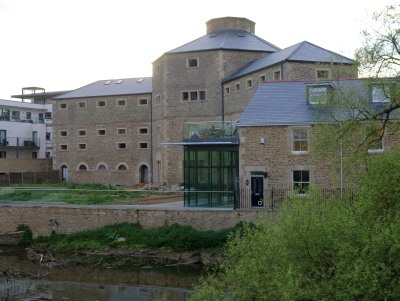 It is the 40th anniversary of the Old Gaol opening as a leisure centre, and Abingdon Music Centre. There have been Abingdon Blog youtube videos for over 5 years. Easily the most popular, from last year’s Mayor of Ock Street, is ‘The Abingdon Traditional Morris Dancing Princess Royal’, which has 15,422 views. It can be viewed on Youtube.